Are you sick most of the time? Are you in pain most of the time? Do you see your family getting sick most of the time? Do you want to see your family healthy and enjoying life? Do you want to be healthier and live longer to see your children grow up and have children of their own? If you say yes to any of these questions, Ganoderma Extract supplements will improve the quality of your and your family's health. Our Ganoderma extract supplements come in pair: Reishi Gano (RG) and Gano Mycelium (GL). They work better together. If you reside in another country besides the United States and you would like to try our supplements, please contact me. How exactly can Ganoderma supplements help you? They can strengthen your immune system to protect you from viruses and bacteria that cause cancer and other diseases. They can protect your respiratory system and your heart from diseases. They can help your digestive system get rid off toxins in your body and provide a well-balanced and an alkaline body that is resistant to cancer. They provide prevention of harmful inflammation and degeneration which are risk factors for cancer. Reishi Gano is powdered Ganoderma lucidum that is produced from 90 day old red Reishi mushroom. It detoxifies or cleanses the environment inside your body. Gano Mycelium is powdered Ganoderma lucidum from 18 day old mycelium of the Reishi mushroom. It creates a balanced environment inside your body for your cells and enhances the natural healing ability of your body. If you need more info about the healing wonders of this mushroom, check out: Healthy Benefits from Red Reishi Mushrooms. Why choose Ganoderma supplements by DXN? There are many brands of Ganoderma Extract supplements in the market. I'm here to help you. It is your and your family's health we are talking about. You deserve only high quality. 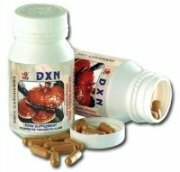 The ones manufactured by DXN are highly recommended. It is what my whole family and I have been taking since 2004. Their supplements are made from 100% natural and high quality red reishi mushroom without any artificial preservatives, colourings or flavourings. The quality of DXN products is always the top priority in every single step of production. The recognition of ISO 14001, ISO 9001, and TGA indicates that the products have attained international standards. DXN Pharmaceutical Sdn. Bhd is an integrated factory that allows the quality maintenance and assurance under the strict supervision of the Quality Control team of DXN for the entire production procedure from cultivation, processing and packaging to marketing. Disclaimer: The above mentioned products are herbal food supplements designed to assist in the maintenance of general well- being through regular use. The information have not been evaluated by the Food and Drug Administration. These product are not intended to diagnose, treat, or cure any disease. DXN does not condone or advocate self-diagnosis or self-medication in any way. If you have a condition which requires medical diagnosis and treatment, it is important that you visit your healthcare professional. All images are owned by Daxen, Inc. Any copying will be an infringement under copyright law. Click here for our ordering, shipping, payment and return policies. Join our mailing list and get exclusive offers (like discounts and free shipping), updates, news and tips on prevention and how to get through treatment.